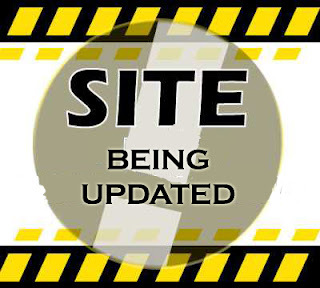 My Apologies for taking so long to update the site my internet has now been restored. and im now available to spend time updating the site. while i do this im looking to moving all TNN live streams to their own page and leaving this page for news and updates about amateur radio as we hear them this will make a more streamline site. Karl - M6JZM 29th October 2018 . No Comments on Updates. Categories: Uncategorised. Karl - M6JZM 12th July 2018 . No Comments on Thursday night net 12/07/18. Categories: Uncategorised. Karl - M6JZM 14th June 2018 . No Comments on Thursday night netn 14/06/18. Categories: Uncategorised. Karl - M6JZM 28th May 2018 . No Comments on GB7SO GOES LIVE!!. Categories: Uncategorised. Karl - M6JZM 24th May 2018 . No Comments on THRUSDAY NIGHT NET 24/. Categories: Uncategorised. Karl - M6JZM 17th May 2018 . No Comments on Thursday night net 17/05/18. Categories: Uncategorised. Karl - M6JZM 10th May 2018 . No Comments on . Categories: Uncategorised. Karl - M6JZM 3rd May 2018 . No Comments on Thursday Night Net 03/05/18. Categories: Uncategorised. Karl - M6JZM 26th April 2018 . No Comments on Thursday Night Net 26/04/18. Categories: Uncategorised. Karl - M6JZM 19th April 2018 . No Comments on Thursday night net 19/04/18. Categories: Uncategorised.